Trinidad and Tobago has earned a reputation as an excellent investment site for international businesses and has one of the highest growth rates and per capita incomes in Latin America. Recent growth has been fueled by investments in liquefied natural gas (LNG) and petrochemicals. Additional petrochemical, aluminium, and plastics projects are in various stages of planning. Trinidad and Tobago is the leading Caribbean producer of oil and gas, and its economy is heavily dependent upon these resources but it also supplies manufactured goods, notably food and beverages, as well as cement to the Caribbean region. Oil and gas account for about 40% of GDP and 80% of exports, but only 5% of employment. The country is also a regional financial center, and tourism is a growing sector, although it is not proportionately as important as in many other Caribbean islands. The economy benefits from a growing trade surplus. Economic growth reached 12.6% in 2006 and 5.5% in 2007 as prices for oil, petrochemicals, and LNG remained high, and as foreign direct investment continued to grow to support expanded capacity in the energy sector. Trinidad and Tobago's infrastructure is adequate by regional standards. A major expansion of the Piarco International Airport in Trinidad, the country's main airport, was completed in 2001. There is an extensive network of paved roads, and utilities which are fairly reliable in the cities. Some areas, however, especially rural districts, still suffer from water shortages. The government is addressing this problem with the construction of additional desalinization plants. Infrastructure improvement, especially rural roads and telephone service, drainage, and sewerage, are among the government's budget priorities. Trinidad and Tobago has a relatively modern, robust and reliable Information and Communications Technology (ICT) infrastructure. Mobile phone service is widespread and has been the major area of growth for several years. Digicel and Laqtel were granted cellular licenses in 2005, breaking the monopoly of the sole provider of mobile telephony services TSTT. However, as of 2015 TSTT and Digicel remain the only mobile providers. Internet connectivity has seen the participation of much more players than mobile telephone with the presence of five (5) broadband service providers/ISPs. Trinidad and Tobago has been involved in the petroleum sector for over one hundred years. There has been considerable oil and gas production on land and in shallow water, with cumulative production totaling over three billion barrels of oil. Trinidad and Tobago is the largest oil and natural gas producer in the Caribbean. In the 1990s, the hydrocarbon sector moved from producing mainly oil to producing mostly natural gas. According to the EIA, in 2013, proven crude oil reserves were estimated at 728 million barrels, while 3P natural gas reserves were 25.24 trillion cubic feet (Tcf) (Ryder Scott Audit 2012). Trinidad and Tobago houses one of the largest natural gas processing facilities in the Western Hemisphere. The Phoenix Park Gas Processors Limited (PPGPL) natural gas liquids (NGL) complex is located in the Port of Savonetta. It has a processing capacity of almost 2 billion cubic feet (Bcf) per day and an output capacity of 70,000 barrels per day (bbl/d) of NGL. After processing the gas is then transferred to the various power generators (POWERGEN, TGU, or Trinity Power) for generation of electricity and to the petrochemical plants for use as a feedstock. The electricity sector is fueled entirely by natural gas. Trinidad Generation Unlimited power plant, the second combined cycle plant in the country, with a generating capacity of 720MW, was opened on 31 October 2013. With 11 ammonia plants and seven methanol plants, Trinidad and Tobago was the world's largest exporter of ammonia and the second largest exporter of methanol in 2013, according to IHS Global Insight. Overall production and export for ammonia, methanol, urea, and UAN decreased to 428,240 metric monnes (MT) in 2013 from 564,892 MT in 2012. The Ministry of Energy and Energy Affairs (MEEA) has encouraged investment in projects for "downstream" processing of petrochemicals, such as the manufacture of calcium chloride and dimethyl ether (DME). Such projects are expected to generate more local employment and more growth in local manufacturing than traditional petrochemical processing. The energy sector accounts for around 45.0% of the country's GDP. The Central Bank predicted real GDP growth in Trinidad and Tobago of 2.6% in 2014, up from 1.6% in 2013, as the country's energy sector recovered from maintenance delays that reduced activity in the third quarter of 2013. MEEA predicted that production of liquefied natural gas (LNG) would rise by 2.0% to 40.0bcm in 2014, following an estimated 1.5% drop in production in 2013. Production of petrochemicals was also expected to rebound, following an 8.0% drop in output in the third quarter of 2013, as several companies aligned their production schedules with the natural gas shortfall. The job market in Trinidad and Tobago stands at a very lucrative position. According to the Organization for Economic Co-operation and Development (OECD), developed nations of the world. In addition the thriving energy sector, the nation controls 0.25% of the world's natural gas with a GDP of twenty billion US dollars (US$20.5b). These factors are quintessential in driving the demand for quality labor, especially in specialized area as it pertains to the energy sector. Such area of specialization are for the first time in history being sought after in this little nation, but requires the expertise of ex pats to fill. According to former Prime Minister Patrick Manning, the nation is the financial capital of the Caribbean, and being so heavily reliant on the oil and energy sectors, fosters and facilitates an environment of constant demand for specialized jobs.In addition, the Natural Gas sector is for the first time facing competition from countries such as Qatar and the United States. All these factors are stimulating the need to produce local specialist as the demand increases.They are also clear indications that the nation is at the end of an economic downturn and poised for a period of economic boom. A wealth of obs would be created in the short run to feed a diversity of economic demands across all sectors of the economy. Finance minister Winston Dookeran unveiled the largest budget (TT$54b) in the history of the nation in October 2011, reiterating the government's resolve to transform the economy, which will boost investor confidence in the nation. This process of transformation will create a hosts of jobs and numerous foreign investor opportunities. The proverbial wheels of the economy are being oiled the economy and other areas of the economy such as the Financial and Manufacturing Sectors will benefit tremendously from the spin offs. Government ministers have already made plans to facilitate viable tools in assisting with the roll out. Within the past couple years government agencies have begun to utilize recruitment tools such as agencies and job boards. The government have recognized the usefulness in sourcing and outsourcing labor from different areas. Recruitment on the whole in Trinidad and Tobago have experienced huge strides, from the traditional snail mail to company's emails and job boards. Local experts have mentioned that moving forward in such a small area is a big tool to in executing and rolling out macro plans smoothly. Tourism is another area which it is believed will soon develop rapidly, and an increased demand for jobs. The European Union Council on Tourism and Trade (EUCTT) has also awarded the nation as being "The Best Tourist Destination for 2012". Local hotels have already begun to make plans to facilitate an influx of European tourists upon the nation receiving this designation. However, the EUCTT is not affiliated with any part of the European Union's Institutions. 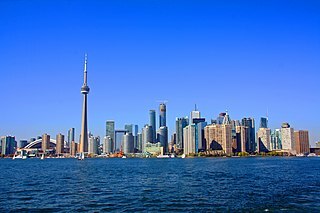 Despite concerns over the global economy, international tourism demand continues to show resilience. The number of international tourists worldwide grew by 5% (22 million) between January and June 2012, with Asia and the Pacific (+8%) leading the growth among the regions. Given this growth rate a total of one billion international tourists are expected by the end of 2012. In 2011, the total contribution of World Travel & Tourism to global GDP was USD6,346.1bn (9.1% of GDP). In 2011, the Caribbean region received 20.9 million tourists, a growth of 4.4% over the same period in 2010. The Caribbean is the most dependent region on tourism with Travel and Tourism contributing 13.9% (US$47.1bn) to its economic output. Trinidad and Tobago received an estimated 402,058 visitors in 2011, representing 2% of all Caribbean visitor arrivals. Due to the multifaceted nature of tourism, its economic impact is not confined to any single industry. To adequately measure the economic impact of the tourism sector, the United Nations World Travel and Tourism Council (UNWTO) devised the Tourism Satellite Account (TSA), an extension of the System of National Accounts (SNA). The TSA is a detailed production account of the tourism sector showing its linkages to major industries, total employment, capital formation and additional macro-economic variables. Recently, the country's economy has been negatively affected by fluctuating oil and gas prices and in an effort to undergo economic transformation through diversification, the government has identified the creative industries, particularly the music, film and fashion sectors, as pivotal to long-term economic sustainability. As such, the Trinidad and Tobago Creative Industries Company Limited (CreativeTT) was established in 2013 to oversee the strategic and business development of the three (3) niche areas of film, fashion and music. ^ "World Bank forecasts for Trinidad and Tobago, June 2018 (p. 152)" (PDF). World Bank. Retrieved 6 September 2018. 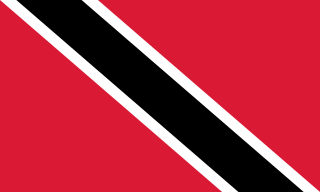 ^ "Ease of Doing Business in Trinidad and Tobago". Doingbusiness.org. Retrieved 2017-01-24. ^ "Export Partners of Trinidad & Tobago". Observatory of Economic Complexity. 2015. Retrieved 2017-06-15. ^ "Import Partners of Trinidad & Tobago". Observatory of Economic Complexity. 2015. Retrieved 2017-06-15. ^ "Public Sector Debt Outstanding (Per cent of GDP)". Central Bank of Trinidad and Tobago. 2017. Retrieved 2018-04-09. ^ "Budget Statement 2015". Retrieved 11 June 2015. ^ "Trinidad and Tobago Country brief". The World Bank. Retrieved 2008-09-01. ^ "Oil and Gas industry – Overview". Energy.gov.tt. Retrieved 2016-08-15. ^ "Ministry of Energy and Energy Affairs". Retrieved 11 June 2015. ^ "T&T now considered a developed country". The Trinidad Guardian Newspaper. Retrieved 11 June 2015. ^ "Trinidad Express Newspapers: – PM WRONG". Retrieved 11 June 2015. ^ "Trinidad and Tobago Economy Profile 2014". Retrieved 11 June 2015. ^ "Trinidad Express Newspapers: – PM: T&T poised to become leading financial centre". Retrieved 11 June 2015. ^ Nation News author. "$54.6 billion budget for T&T". www.nationnews.com. Retrieved 11 June 2015. ^ "Trinidad Express Newspapers: – internet job-seekers". Retrieved 11 June 2015. ^ "Trinidad Express Newspapers: – T&T is World's Best Tourist Destination". Retrieved 11 June 2015. ^ "EUROPA – Institutions, bodies & agencies – contact & visit details". 2 October 2015. Retrieved 11 June 2015. ^ "Welcome to Tourism Development Company Limited!". Archived from the original on 22 June 2015. Retrieved 11 June 2015. ^ "Film, music and fashion to fall under Creative TT". Government of the Republic of Trinidad and Tobago. 6 June 2013. Archived from the original on 17 September 2016. Trinidad and Tobago, officially the Republic of Trinidad and Tobago, is a twin island country situated off the northern edge of the South American mainland, lying just 11 kilometres off the coast of northeastern Venezuela and 130 kilometres south of Grenada. Trinidad and Tobago is one of the wealthiest and most developed nations in the Caribbean and is listed in the top 40 of the 70 High Income countries in the world. Its GNI per capita of US$20,070 is one of the highest in the Caribbean. In November 2011, the OECD removed Trinidad and Tobago from its list of Developing Countries. Trinidad's economy is strongly influenced by the petroleum industry. Tourism and manufacturing are also important to the local economy. Tourism is a growing sector, although not as proportionately important as in many other Caribbean islands. Agricultural products include citrus and cocoa.